Most departments in Johnson County, Kansas, will no longer ask questions about criminal convictions on their job applications. The move is in support of the Fair Chance Hiring initiative, a campaign started by the National Employment Labor Project to give people with criminal records better access to jobs. People with criminal convictions may have an easier time finding a job within Johnson County Government due to a change on most employment applications. A study by the American Journal of Sociology shows that individuals with a criminal record are 50 percent less likely to receive an interview for entry level positions. County Manager Hannes Zacharias wants to change that. 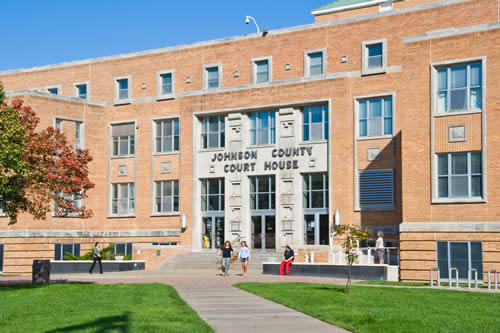 After an applicant has been interviewed, but before a job offer is extended, Johnson County Government will ask if the applicant has been convicted of a felony. "If you're convicted you know that if you check that box you're not going to make the application. That's the problem. People don't even try. We're trying to say, 'Please try,' and then we'll vet you out later on in the process if it's not appropriate," says Zacharias. Law enforcement and selected public safety positions will still include criminal history questions on their applications. Other metro area cities, such as Kansas City, Missouri, Grandview, Missouri, and Kansas City, Kansas, have already adopted Fair Hiring Initiative policies. Hannah Copeland is an announcer and contributor for KCUR 89.3. Follow her on Twitter @hannahecopeland. Angry, anguished, and finally emboldened by a kind judge, a Kansas City woman who was raped and nearly killed 17 years ago on Thursday vowed to find her attacker’s other victims and help reform the law enforcement system. She survived a person's worst nightmare. KCUR's investigative team brings us the story of how one woman’s vicious attacker was finally found after 17 years, and of the mistake that left the case open for so long. 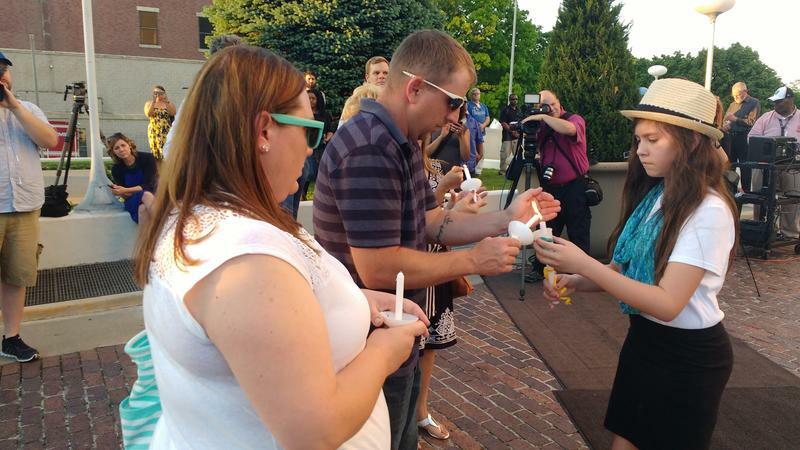 Hundreds of people gathered Tuesday night at a candlelight vigil outside the Kansas City, Kansas City Hall to remember police detective Brad Lancaster, who was shot and killed as he pursued a suspect near the Kansas Speedway on Monday. Mayor Pro Tem Hal Walker says he first met Lancaster just after he graduated from the police academy. “It was clear then as it was clear throughout his career what great potential, what great service he gave to his community,” says Walker.